The richest and darkest candi syrup available on the market. 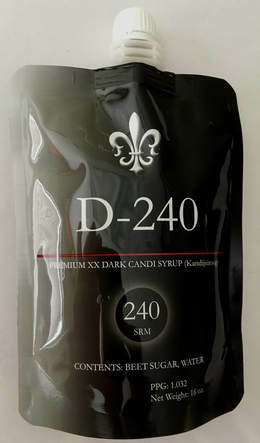 Created to have a rich smooth palate, D-240 is a triple-dark syrup with hints of dark raisin, extra dark stone fruit and a roasted dark caramel back-palate. For ales that require full body and indescribable flavor that will set your ales apart!